Persicaria bistorta (Bistort or Common Bistort) is a herbaceous flowering plant found throughout Europe. The generic placement of this species is in flux. While treated here as in Persicaria, it has also been placed in Polygonum or Bistorta. Bistort root is one of the strongest astringent medicines in the vegetable kingdom and highly styptic and may be used to advantage for all bleedings, whether external or internal and wherever astringency is required. 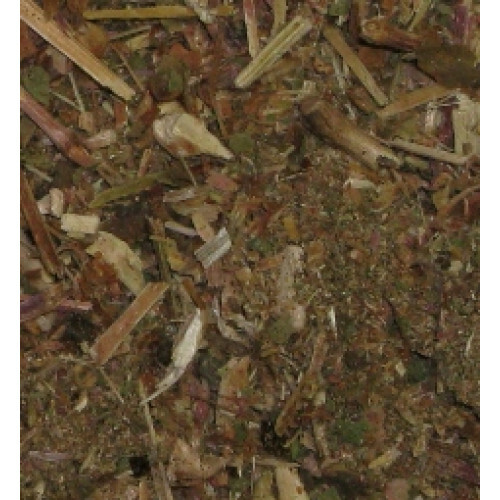 Although its use has greatly been superseded by other astringents of foreign origin, it is of proved excellence in diarrhoea, dysentery, cholera and all bowel complaints and in haemorrhages from the lungs and stomach, and is a most effectual remedy for bleeding from the nose and exceedingly useful in dealing with haemorrhoids. It is used - as a medicine, injection and gargle - in mucous discharges, as well as for haemorrhages. A teaspoonful of the powdered root, in a cupful of boiling water, may be drunk freely as required.